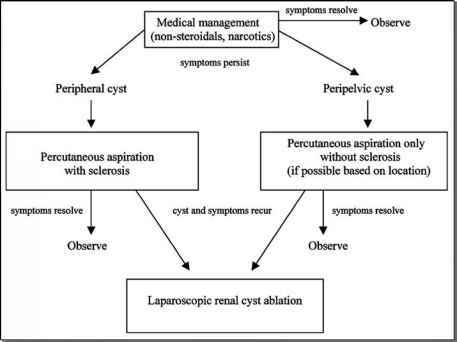 Figure 2 shows three and four port placement schemes for transperitoneal laparo-scopic radical nephrectomy. Port placement varies according to center and surgeon preference. Depending on the complexity of the procedure, the number of ports can vary from three to six. The minimal number of ports that are required is three, with additional ports placed when specific retraction is required, e.g., patients with a relatively large liver require the placement of a fourth port to retract the liver during dissection of the right upper renal pole. The location of the ports follows a variety of schemes. Traditionally, either a peri-umbilical or supraumbilical port was placed for the endoscope, with additional ports placed subcostally. In many centers, this has evolved to a scheme where a port is placed at the mid-clavicular line lateral to the kidney. This port is employed for visualization, and two additional ports are placed, one on either side, for working instruments.